Chill out in the desert! Joshua Tree National Park is named after the Joshua tree forest that is native to the desert area. 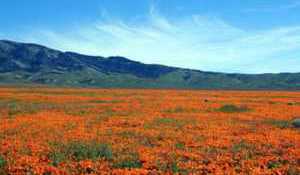 Here Spring flowers are a must see. The town of Twentynine Palms is nearby, and Palm Springs is an hour away. 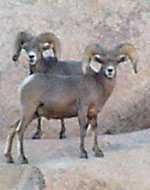 The Living Desert Zoo and Gardens, located 15 miles southeast of Palm Springs, are great family entertainment. 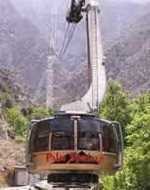 The Palm Springs Aerial Tramway takes you from the hot desert floor to the cool mountains. This thrilling adventure is taken aboard rotating tram cars that climb 5,873 feet in about 15 minutes. Calico Ghost Town is one of the few remaining silver mining towns of the west. Here you can ride the Calico and Odessa Railroad, take a tour through the Maggie Mine or go Gold Panning. The town is perched up on a hill overlooking the Mojave Desert with incredible views. 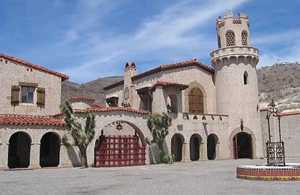 Built in 1927 right in the middle of Death Valley National Park, is Scotty's Castle, a 32,000-square-foot villa. Park rangers in period costume offer guided living history tours of the main house interior 365 days a year. 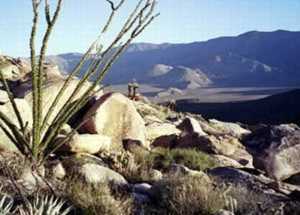 Anza-Borrego Desert State Park is California's largest state park, Here you can find off-road and bike routes up rocky climbs, or through deep sand. In Borrego Springs, within the park, there are many scattered remains of the area's early history where stagecoaches drove the first intercontinental mail. Hiking trails take you to waterfalls, historic monuments and old settler houses.